Having seen Majestic do rather well over Christmas, it came as a shock to hear the company talking of closing stores and re-branding others as Naked Wines outlets. This seemed a good time then to take another look at the stock they sell while we still can. Some of their lines do seem to move quickly – as with the superb 2017 Las Pinzas Albarino that I planned to use as today’s Magic Bullet selection only to find it had sold through! Here is a quartet of its friends though that I think demand attention. Also today, we have the usual Best of the Rest selections, Sunset Corner (giving a “promotion ending” alert on Asda reductions) and a Top Tip. When we talk of red wine from Italy’s Puglia region, minds automatically turn to primitivo but nicely made versions of negroamaro have been produced there, some say, since Roman times. Here is a rather tasty illustration that so obviously denies the second part of the literal translation (black bitter) of the grape’s name. I just love the cocoa, liquorice and clove depth to 2017 Domodo Negroamaro (£7.99 at Majestic in Scotland or as part of a mixed six anywhere, otherwise £9.99 and 12%) and the way it supports the cherry, loganberry and blackcurrant fruit yet also has just the right levels of acidity and tannin. Chile’s Central Valley is at the mercy of several climatic influences which include surprisingly cold ocean currents for this latitude to the west and cool air from the Andes to the east yet merlot grapes still seem to thrive there. Consider the boldly fruity and aromatic 2018 Antacoya Merlot (£5.99 or £7.99 at single bottle rates and 12.5%) which delivers soft black cherry and red plum flavours, good acidity, modest tannin and savoury twists bolstered by suggestions of thyme aniseed and caramel. Next up is a white that also punches above its weight but in the form of soft yet lively pinot grigio from Romania that I fancy will delight mainstream PG aficionados and a number of its doubters too. Gently textured with attractive pink grapefruit acidity, 2018 Valduna Pinot Grigio (£6.99 or £7.99 at single bottle rates and 12.5%) has floral peach and mango fruit with touches of citrus zest but mace centred contrast as well. By sourcing this wine from Hungary, rather than the grape’s (more expensive) spiritual home in Austria, Majestic continues to provide this gruner veltliner at a fantastic price – although one senses this vintage is nearing the point where it needs a refresh. Nevertheless, 2017 Majestic Loves Gruner Veltliner (£5.99 or £6.99 at single bottle rates and 12.5%) still brings us clean, minty apple and white peach fruit at present with neat fennel edges and lively grapefruit acidity. Bank Holidays are often the time for larger gatherings of family and friends where wine largely has a social role as an easy drinking fuel to the good time that will, inevitably “be had by all”. Here, then, is an uncomplicated, inexpensive red that will work well as the “horse” for that particular “course”. 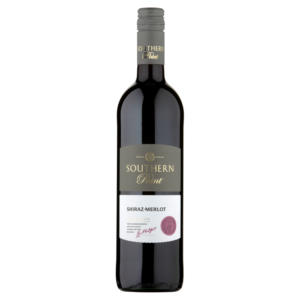 Despite the limited texture, there is a depth of flavour to South Africa’s 2018 Southern Point Shiraz Merlot (£4.69, or slightly less in Scotland – instead of £5.50 until 24 April – at Asda and 12.5%) that brings damson and mulberry fruit into play then wraps it in gentle tannin but good acidity and finally supports it with undercurrents of aniseed, black pepper and other savoury influences. I have put a fair amount of focus on southern hemisphere pinot gris in recent weeks but here is an excellent version from an area this side of the equator that handles the complex aspects of the variety brilliantly. 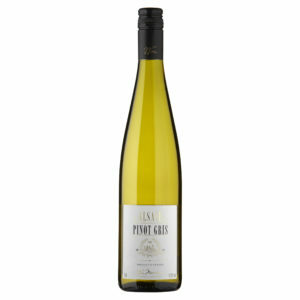 Enter then Alsace’s 2017 The Best Pinot Gris (£7 – instead of £8.25 until 30 April – at Morrisons and 13%) which has a viscosity not unlike gewürztraminer produces but combines it with zesty acidity (rather than lychee and spice) and centres it around pear, ripe melon and greengage fruit with suggestions of ginger and an edge of sweetness. Our Sunset Corner focus this week is on Asda where a four week promotion period comes to an end next Wednesday (24 April). I do need to remind you, however, that all these wines are “subject to availability” and prices may change – the “instore price” has the final word. 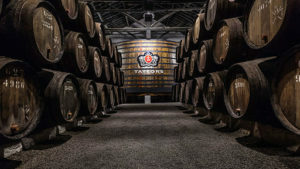 Equally, because of minimum pricing laws, what you pay may be different in Scotland. I have already featured a couple of wines from that list but here are a few other price reductions that may help MidWeekers with Easter selections. Top Tip: Consider building a wine tour into your holiday in the sun. I have made some brilliant trips to Portuguese wine regions over the years and feel that it is an excellent country for wine lovers to visit. So, I asked one of the country’s top tourist operations to spell out what makes it all so special. The result delightfully illustrates their pride in what Portugal has to offer – but then the country has a lot to be proud about. 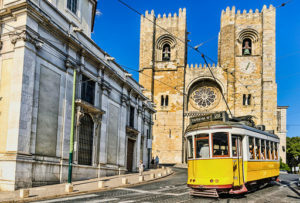 “Portugal has been a world-class golf destination for years – mainly in Algarve – but, as more airlines are establishing regular flights to Lisbon and Porto, Portugal’s other charms are slowly being uncovered and acclaimed. On the wine front, Portugal has traditionally been best known for port and madeira yet about half of the country’s wine production is of table wines – white, red, rosé and, of course, Vinho Verde. Port Wine is a fortified wine exported worldwide for centuries from the Douro Wine Region in the north of Portugal. It has an astonishing green landscape and a river that reflects the sunset so beautifully that it is called the River of Gold. Porto – where the river enters the sea – is a lively city of many charms. New upbeat Michelin Star restaurants co-exist with Tascas – the typical Portuguese dining places. Once there, head to the riverbank so you can visit the ancient cellars where Port Wine is still stored and from where it is shipped. 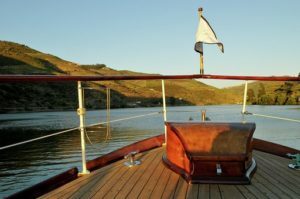 On the water, there are the Douro river cruises which include one of the best river cruises in Europe – upwards into the Douro Valley, taking you directly into the best wineries and wine tastings. At only a 3 hour drive from Porto, is Lisbon. Lisbon’s river is the Tagus, (Tejo, in Portuguese) and its tiled buildings sitting on the riverbank, reflect the sunlight making this the brightest city you will ever visit. Other Lisbon charms are the lively nightlife, the innumerable coffee shops (both traditional and modern), and the historic buildings everywhere – fascinating, colourful and culturally diverse, this is Lisbon. In addition, for the fashion conscious, excellent international shops are located at Avenida da Liberdade with the most exclusive designer shops at Principe Real neighbourhood. However, we also bet you will be craving a beautiful, comfortable place to taste some great wine and food so we invite you to book into the modern By The Wine. Located in the trendy Chiado neighborhood it offers varied wine and food tastings – salty and sweet. Continuing south, across the Tejo river only 40minutes drive away you will find yourself in Península de Setúbal. Producing wine since the Roman times this wine estate in known for its muscat – Moscatel de Setúbal, a sweet dessert wine widely appreciated by both Portuguese and foreigners around the globe. Two of the most emblematic places in Setúbal are Quinta da Bacalhôa and José Maria da Fonseca winery, both rich in winemaking history along the centuries and leading the innovation path in winemaking today. Península de Setúbal is also known by its Unesco protected natural landscape and its beaches of cold yet crystal waters. Heading slightly south, another 50 minutes’ drive away is Alentejo. Alentejo is a gold plain with cork tree plantations here and there next to white houses with yellow or bright blue stripes. This is the silent, relaxing Alentejo, a place where time stands still. It is known for beautiful comfort food, warm and friendly people and great full-bodied reds and light-bodied whites. Here you will find some of the most ancient yet modern wineries in Portugal and exclusive accommodation. Glass ceilinged rooms allow you to have a private view of a unique starry sky. Book it for July, when the meteor rain makes this magical sky the most outstanding phenomena. Finally, we arrive in Algarve, the south coast of Portugal – where both the Atlantic Ocean and the Mediterranean Sea kiss the land to make this region so special. Wine Tourism in Portugal is the only online hub for booking all the wine experiences in Portugal. Both bespoke tours and tailor-made vacations are available, and all the support you need to plan and book your time in Portugal is provided by a team of Portuguese experienced professionals. Your perfect vacations are only one click away. Funny you should mention Majestic’s Albarino Brian. You’ll recall helping me to source Aldi’s excellent Rias Baixas Albarino last year – unsuccessfully it turned out. Well it’s back. Last week I received two e-mails from Aldi and the 2018 vintage was featured as “new”. Strangely however it was “sold out on line”! I did manage to source nine bottle by visiting two branches. I have yet to try a bottle, but if it is as good the 2017 vintage I’ll be a happy chappy. I to am concerned to hear about Majestic’s plans. They may well have too many branches, but personally, I prefer browsing any wine branch or store, to buying on line. Also, I was never a fan of Naked Wines and can’t understand why they have chosen that name over Majestic. Thanks for the update, Fred, and good to hear from you. Glad you have sourced the new vintage Albarino which I think is excellent but let us know how you find it. When you have a couple of friends round, do buy a bottle of Aldi’s premium version (Albanta Albarino at £7.99) and compare the two. I really rated the Albanta and felt it a notch more delicate and textured than the Exquisite Collection version (good as that is). Sticking with that part of the world – albeit over the Border into Portugal – try that Wine Foundry Avesso I recommended a few days back!